Princess Cruises is celebrating Father’s Day with a special five-day cruise sale from June 14-18. Passengers will find cruise deals to destinations such as Asia, Australia & New Zealand, Europe, the Caribbean and Hawaii. The sale offers savings up to 60 percent off of launch fares per stateroom, plus up to $100 onboard credit. The sale includes more than 80 cruise options in 2012, departing between August and December. In addition to fare savings, passengers booking interior or oceanview staterooms can receive an onboard credit of $25 (cruises up to 9 days) to $50 (cruises 10 days or longer), and in balcony staterooms or above can get credits of $50 (cruises up to 9 days) or $100 (for sailings 10 days or longer). 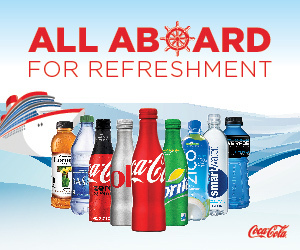 All onboard credits are offered per stateroom. Examples of cruise deals include: Caribbean cruise – 7 days: $799 balcony (was $949); $549 interior (was $599) ; Grand Mediterranean cruise – 12 days: $1,299 balcony (was $3,290); $799 interior (was $2,190); Greek Isles cruise – 12 days: $1,299 balcony (was $3,240); $799 interior (was $2,140); Hawaii cruise – 14 days: $1,899 balcony (was $2,345); $1,199 interior (was $1,445); and Southeast Asia cruise – 16 days: $2,199 balcony (was $3,185); $1,499 interior (was $1,995). All cruise prices are per person, based on double occupancy. The Father’s Day Sale begins at 12:01 a.m. PDT on June 14 through 11:59 p.m. PDT on June 18, 2012 and is available to residents of the United States, Canada, Puerto Rico and Mexico. Reservations made during the sale require a non-refundable deposit.